eSports player consistently ranks among children's most popular future jobs in South Korea. A high school drop-out dubbed the 'Michael Jordan of eSports' has helped make South Korea a major power in video-gaming— and is now leading its push to be recognised by the mainstream. The bespectacled, floppy-fringed 'Faker', real name Lee Sang-hyeok, is the world's top League of Legends gamer and in hyper-wired Korea, he enjoys similar fame and fortune to top basketball or baseball players. Faker, 22, will be one of the biggest stars at next month's regional Olympics, the quadrennial Asian Games in Indonesia, where eSports will be held as a demonstration event for the first time. It marks a step forward in gaming's efforts to be considered a genuine sport, possibly even gaining a slot at the Olympics in the future—good news for global eSports powerhouses like South Korea. The South enjoys ultra-fast broadband and a vibrant internet culture, and internet cafes armed with powerful high-end computers catering to school-age gamers can be found on many street corners. 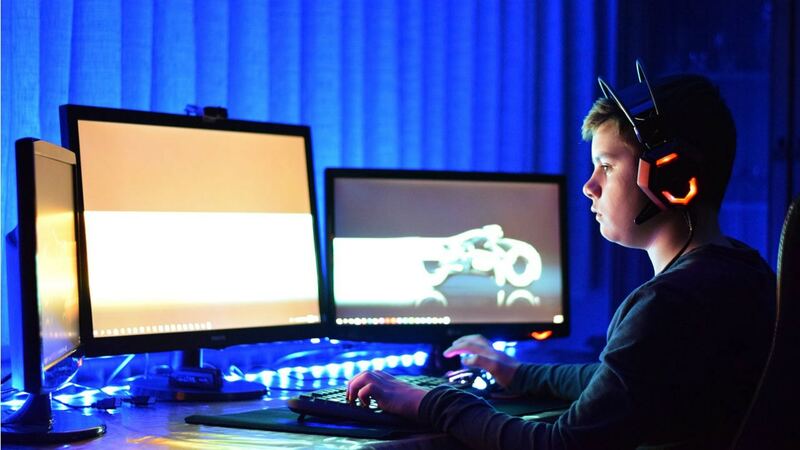 'eSports player' consistently ranks among children's most popular future jobs, coming eighth in an education ministry survey of elementary school pupils last year— higher than 'scientist'. Faker started playing video games in elementary school, and excelled at League of Legends—an online battle game introduced by Riot Games in 2009. As he climbed the online LoL rankings speculation mounted about his identity, and he formed a team with friends to compete at amateur tournaments. Korea's eSports scene is reminiscent of Germany's soccer culture, with grassroot talents nurtured from a young age, some of them making their way to amateur leagues and, after years of competition and effort, professional teams. Many leading firms have their own eSports teams, with Faker believed to be paid at least 3 billion won ($2.6 million) a year by his sponsor SK Telecom, the South's top wireless operator. "This is a country where eSports has been fully embraced as a type of sport among youth, and even college sports championships have eSport events," said Kim Cheol-Hag, secretary general of the Korea eSports Association. Multiple TV channels are dedicated to broadcasting eSports competitions, held at large football stadiums to roars from tens of thousands of fans, or sleek special arenas designed to showcase the games. "Playing games became a full-time career in the South in the mid-2000s when many pro eSports teams were established, ahead of other countries," Kim said. With 25 million players—half the population—the South is the world's sixth-biggest video game market. But many South Korean players and coaches have been hired to work for top teams around the world, including China and the US—eSports' two biggest markets. "Now the US and China have the same systems and have caught up with us," Kim told AFP, "but we have know-how and culture that has been accumulated for decades helping us stay at the top of the game". South Korea's obsession with video games dates back to the 1990s when Starcraft—a US science fiction strategy game—enjoyed huge popularity, so much so that the South accounted for more than half its worldwide sales. Nowadays teenagers hoping to become professional players—or popular among their game-crazed peers—flock to a growing number of private, after-hours schools coaching them how to play video games better. A typical "game academy" features a rows of teenagers or men in their 20s playing Overwatch or League of Legends, with a coach — usually a former pro—watching their performances and suggesting better moves. "If you become a good gamer, it can improve your social standing and help you make more friends," game academy student Kim Han-eol told Seoul's YTN news channel. Six other players will accompany Faker to Indonesia next month to compete. "The Asian Games is not an event only watched by gamers but something watched by the whole nation," Faker told reporters. "I will win the game no matter what." A member of professional eSports team 'Afreeca Freaks' is interviewed on stage after their team won the 'League of Legends' competition, in Seoul, on 11 July 2018.